The Ovation award-winning Fountain Theatre celebrates the centennial of Tennessee Williams' birth (March 26, 1911) with the West Coast premiere of his final play, by special permission of the Williams Estate. Simon Levy, just announced as the recipient of the Los Angeles Drama Critics Circle's 2010 Milton Katselas Award for special achievement in directing, directs A House Not Meant to Stand, opening February 26 at The Fountain Theatre. Low-priced previews begin February 19. While Williams often used drama to convey hope and desperation in human hearts, it's through this dark, expressionistic comedy that he ultimately expressed his vision of the fragile state of our world. Subtitled "a Gothic comedy," A House Not Meant to Stand brings us the blazingly dysfunctional McCorkle family in a fiercely funny, bitingly moving, turbo-charged tragicomedy that is at once searing, savage, and hilarious. "Welcome to the wild, wonderful, wacky world of Mr. Williams," says Levy. "His last play is bold and quintessentially Tennessee, a mix of surrealism, the poetic realism we expect of him, and black comedy. Up until the very end, he continued to experiment with form and content." Sandy Martin (Big Love, Grandma in Napoleon Dynamite) stars as Bella McCorkle, the family matriarch with visions of a family restored; James Harper (FDR in The Fountain's The Accomplices, over 150 plays on Broadway) is Cornelius, the blusterous father of the family; Daniel Billet (Fountain Theatre's Photograph 51) is Charlie, the McCorkle's unemployed youngest son; Virginia Newcomb (Peacock with Ellen Page, the upcoming Insert) plays Stacey, Charlie's pregnant, born-again girlfriend; Lisa Richards (Heavenly opposite Christopher Walken in Sweet Bird of Youth on Broadway, Henry Jaglom's Eating), is the cosmetic surgery-addicted neighbor Jessie Sykes; and Robert Craighead (The Bold & The Beautiful, Return of the Living Dead, Firestorm) is Emerson Sykes: schemer, womanizer and fellow Moose Lodge brother. Rounding out the ensemble are Kevin High, Chip Bent and Caroline Treadwell (Stacey alternate). A House Not Meant to Stand started out as a one-act entitled Some Problems for the Moose Lodge that was staged by Chicago's Goodman Theatre in 1980, along with two other one-acts under the umbrella title Tennessee Laughs. At the urging of Goodman artistic director Gregory Mosher, Williams returned to his home in Key West to expand it into a full-length play. 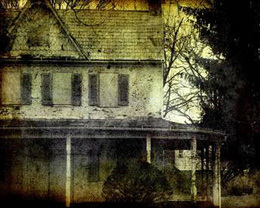 Williams called House a "Southern Gothic spook sonata," a deliberate reference to an August Strindberg play known as The Ghost Sonata in its English translation. The McCorkle's crumbling house is a metaphor for contemporary society, while the characters are drawn from the Williams family: his father Cornelius, his aunt Belle, his paternal grandfather, and his brother Dakin. When the play opened in late April 1982, Time called it the best play Williams had written in a decade, "inhabited by a rich collection of scarred characters." It was published for the first time in 2008 by New Directions. A House Not Meant to Stand opens on Saturday, February 26, with performances Thursdays, Fridays and Saturdays @ 8 pm and Sundays @ 2 pm through April 17. Preview performances take place February 19-25 on the same schedule. Tickets are $25 on Thursdays and Fridays and $30 on Saturdays and Sundays, except opening night (February 26), which is $35 and previews which are $15. On Thursdays and Fridays only, students with ID are $18 and seniors are $23. The Fountain Theatre is located at 5060 Fountain Avenue (at Normandie) in Los Angeles. Secure, on-site parking is available for $5.00. The Fountain Theatre is air-conditioned and wheelchair accessible. For reservations and information, call (323) 663-1525 or go to www.FountainTheatre.com.